Zscaler has launched a new freE online service called Zulu that can assess the security risk associated with URLs by analyzing the content they point to, as well as the reputation of their corresponding domain names and IP addresses. 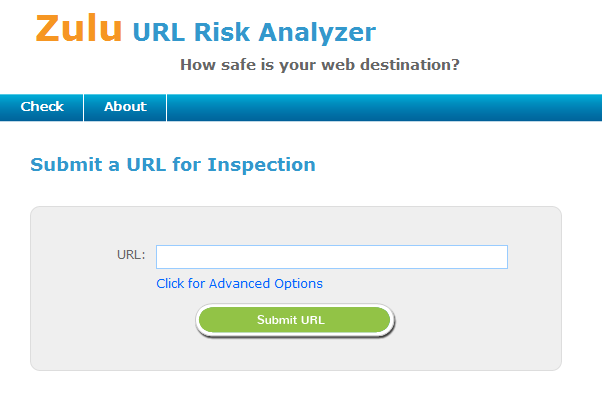 Zulu allows security savvy users who investigate various web attacks to choose what User-Agent and Referrer headers the scanner will use when accessing a URL. "A unique benefit of this approach is that we can deliver a risk score even when the page content is no longer available," said Michael Sutton, vice president of security research at Zscaler. "While we can't access the page, we can still assess the URL and host and when they deliver a high risk score despite a lack of page content, one can often conclude the page was indeed malicious but has since been taken down," he explained.